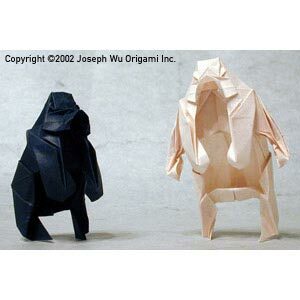 This is a miniature figure, folded to scale. The ape is a modified to make it stand on its hind legs. The girallon (a four-armed carnivorous white ape) is derived from the modified ape, and is folded from a 3 by 2 rectangle.